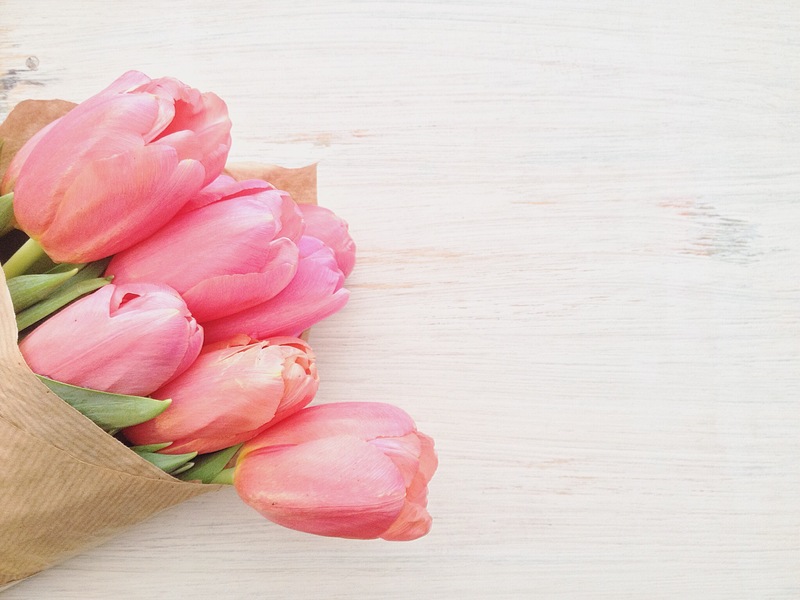 A very simple bunch of tulips for a cheery flat lay shot. Such a happy flower full of the promise of Spring. I can’t begin to tell you how excited I get every time I walk around our cottage garden and see new bulbs emerging! It’s been a little odd as we had daffs before snowdrops, but the grape hyacinths are coming now so I think it’s all back in order. Such a pretty colour of tulips too. I can’t wait to buy our own place where we can plant lots of winter bulbs. Where we are renting at the moment, we have lots of daffodils but that’s about it. We planted tulips after we first moved in but they didn’t really produce anything and have since just vanished. PreviousMaking hedgerow dye, blackberry dye tutorial. NextOn the edge of my seat for Olympus pen f.